The introduction anchors the story in the story of Israel. Thus Mark presents the story of Jesus as the continuation, and indeed, climax of the OT story. John the Baptist prepares the way for the return of Yahweh to Israel, thereby presenting Jesus as the embodied return of Yahweh. Part 1 gives particular attention to the question of Jesus’s identity. Mark’s strategy is to tell the story vividly and leave the reader to ponder the issue. The story of Part 1 begins Jesus’s announcement of the kingdom’s arrival and then demonstrates Jesus as the kingdom-bringer through his authority over demons, sickness, nature, etc. Moreover, in his teaching, he is the prophet par excellence, perfectly bringing God’s Word. Part 1 also draws attention to the meaning of discipleship as Jesus calls his followers to find a new identity in relationship with him. That is, as Part 1 defines Jesus’s identity through the narrative, Mark also invites readers to discover a new identity. The short transitional passage in Mark 8:27-30 explicitly answers the question: Jesus is the Messiah. Of course, the multiplicity of messianic understandings in the first century demands that we read the entire Gospel in order to understand just what kind of Messiah Jesus is. And that’s just what we find in Part 2. Part 2 defines the messianic mission of Jesus, beginning with a strong emphasis on his death and resurrection. The rest of Part 2 fills out the details of the mission with Jesus defeating the true enemy, beginning the restoration of God’s people, claiming authority over the temple and even replacing it, all leading up to the climatic moment of his death. Thus Part 2 defines the messianic mission, focusing on the death and resurrection of Jesus as the means of restoring God’s people and bringing God’s blessing to the nations. In terms of discipleship, the call of Part 2 is for those who have found their identity in the Messiah to join his mission. Finally, the abrupt ending of Mark fits beautifully with the movement of the narrative (I hold the majority position that the original ending is at verse 8). The question of mission is answered, through somewhat cryptically. Jesus brings restoration through resurrection. Mark is open-ended — the mission is to continue through Jesus’s followers. They are to live resurrection lives and bring the good news of Jesus to the world. While Mark could be outlined in other ways, I think this narrative outline allows us to keep the focus on the both the message and the medium. The story invites us to participate in it: find our new identity in Christ and join him in his mission. In recent years, scholars have applied the tools of literary criticism to the study of the New Testament. One important literary tool utilized is narrative criticism, the study of biblical narratives as narratives. That is, narrative criticism studies the various aspects of stories in the text: characters, plot, setting, etc. Within New Testament studies, the primary focus has been on the Gospels, though narrative features in Paul’s discourse are also recognized (more on this in another post). In the Gospels, a primary feature of Jesus’s ministry was that of a teacher. One of his favorite teaching tools was the parable. Though this is true, many Christians misunderstand the parables or neglect them altogether. While there have been many scholarly and popular studies on the parables, few, have considered the narrative character of the parables. That is, the parables are not just pity statements, but they are stories. How might a narrative analysis of the parables aid our understanding? 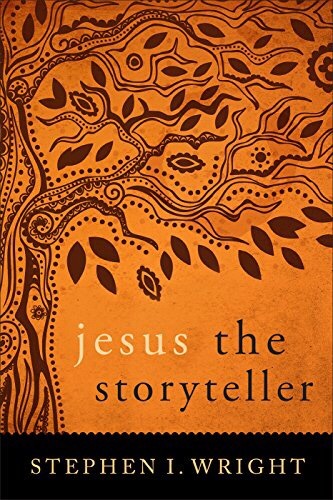 This is the focus of Stephen Wright’s recent study Jesus the Storyteller. Wright begins the book with an assessment of the history of parable research. The parables have been used and abused in many ways. Some consider the parables within the Gospels to reflect vastly different beliefs and intentions than those of Jesus himself (Reimarus). Some see the parables as universal moral truths, the product of Jesus the moral teacher (Jülicher). Sometimes the historicity of the parables has been doubted (Wrede) while at other times heavy emphasis is placed on their apocalyptic outlook (Schweitzer). Along the way, the narrative character is often neglected. Wright believes that to rightly understand the parables, a “two-level hearing” is required. First, they must be understood within the wider narratives of the Gospels. That is, it is essential to grasp the literary function of the parables within the stories of the Gospels. For Wright, this should not arouse doubt as to the historicity of the parables as stories told by Jesus. The authors of the Gospels no doubt shaped the parables to fit within their stories. This does not, however, imply that the Gospel writers changed the meaning of the parables such that they are unreliable records of Jesus’s own words. Rather, “the Evangelists preserve them [the parables] as ‘actions’ which play a crucial role in advancing their narratives” (44). Chapters 4, 5, and 6 provide an analysis of the parables within Mark, Matthew, and Luke respectively. In my opinion, these short chapters provide an very helpful entryway into understanding the function of the parables within the Synoptics. Wright argues that the parables were strategically placed within each Gospel for particular purposes. 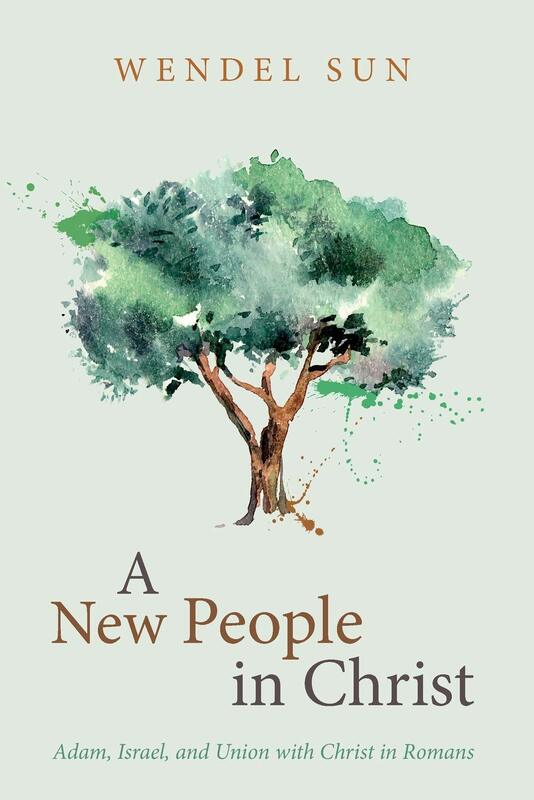 In other words, these chapters aid students of the parables to avoid missing the Gospel forest for the parable trees. This is a helpful corrective as some parable studies have isolated individual parables and sought to understand them apart from their literary contexts. Wright’s major contribution to parable studies, however, is found in the last 100 pages of the book in which he applies the tools of narrative criticism to the study of the parables. This constitutes the second-level hearing. Whatever the parables were, and many definitions have been offered, they are at least stories. Wright believes we should study them as such. Thus, the parables have characters, settings, plots, and points of view. Identifying these features helps us to “hear” the parables as they might originally have been heard. For example, Wright examines the parable of the Sower (Matt 13:3-9; Mark 4:3-9; Luke 8:5-8) on pages 90-97. Instead of providing a verse-by-verse commentary, Wright walks through a narrative analysis of the parable. The benefits to such analysis lies in the clarity that it brings to the elements of the story Jesus told. Thus, understanding the setting of the original telling as recorded in the Gospels and of the story itself aids us in understanding the meaning of the story. Thus, Wright considers the importance of the land in Israel’s history and the symbolic power of seed imagery and harvest, all within the context of first century Jewish peasant society. Similar analysis of the characters, point of view, and plot are offered. All of this leads the reader to hear the power of the story: “it invites thought and encourages hope” (97). One might quibble with some of Wright’s interpretations of individual parables. Indeed, I’m not fully convinced of a few his conclusions. Moreover, there are times in which I felt the historical analysis pushed a little too hard on the parable to the detriment of hearing the additional allegorical meanings. However, these minor points do not detract from the usefulness of this volume. Wright aids us in properly hearing the Master Storyteller. For the devil smelled a rat, and perceived that if the languages were revived a hole would be knocked in his kingdom which he could not easily stop up again. Since he found he could not prevent their revival, he now aims to keep them on such slender rations that they will of themselves decline and pass away. . . Although the gospel came and still comes to us through the Holy Spirit alone, we cannot deny that it came through the medium of languages, was spread abroad by that means, and must be preserved by the same means. . . In proportion then as we value the gospel, let us zealously hold to the languages. . . And let us be sure of this: we will not long preserve the gospel without the languages . . . The Holy Spirit is no fool. He does not busy himself with inconsequential or useless matters. He regarded the languages as so useful and necessary to Christianity that he ofttimes brought them down with him from heaven. This alone should be a sufficient motive for us to pursue them with diligence and reverence and not to despise them . . . When our faith is . . . held up to ridicule, where does the fault lie? It lies in our ignorance of the languages; and there is no other way out than to learn the languages . . . Since it becomes Christians then to make good use of the Holy Scriptures as their one and only book and it is a sin and a shame not to know our own book or to understand the speech and words of our God, it is a still greater sin and loss that we do not study the languages, especially in these days when God is giving us men and books and every facility and inducement to this study, and desires his Bible to be an open book . . . The preacher or teacher can expound the Bible from beginning to end as he pleases, accurately or inaccurately, if there is no one there to judge whether he is doing it right or wrong. But in order to judge, one must have a knowledge of the languages; it cannot be done any other way. In mission context, we severely stunt the growth of the church when we do not teach the languages. The goal of mission cannot be simply evangelism or even church planting. We must train church leaders and leaders of leaders to rightly handle the Word of truth. And, an important part of that training is the biblical languages. The final phrase of Romans 6.14 can at first appear confusing. Paul grounds his appeal for righteous living on the status of believers as ‘under grace’ rather than ‘under law.’ One may have expected Paul to say that believers are not ‘under sin.’ Careful attention to the Old Testament narrative running through Romans provides clarity to this verse.